Ford Motor — The automaker reported adjusted quarterly profit of 58 cents per share, seven cents above estimates, with its automotive revenue also beating forecasts. Ford also said its European business returned to profitability for the full year of 2015, with the Asia Pacific region posting its best-ever annual profit. Alibaba — The China-based online retailer beat estimates on the top and bottom lines and also recorded a 23 percent jump in the key metric of gross merchandise volume. Caterpillar — Caterpillar reported adjusted fourth quarter profit of 74 cents per share, five cents above estimates, though revenue was light. Caterpillar does see full-year 2016 profit above current Street estimates, as it benefits from cost controls and restructuring. Under Armour — The sports apparel maker came in two cents above estimates with quarterly profit of 48 cents per share. Revenue was roughly in line, while guidance for 2016 sales was above Street estimates. Under Armour is seeing growth in sales of both apparel and shoes. Time Warner Cable — Upbeat subscriber numbers helped the cable operator beat estimates by two cents with adjusted quarterly profit of $1.80 per share, with revenue also above Street forecasts. Harley-Davidson — The motorcycle maker came in three cents above estimates with quarterly profit of 22 cents per share, though revenue was short of forecasts. Harley gave a cautiously optimistic outlook for 2016 while noting it expects macroeconomic conditions to continue to be challenging. Stanley Black & Decker — The toolmaker reported adjusted quarterly profit of $1.78 per share, two cents above estimates. However, revenue fell below forecasts, and the company sees challenging macroeconomic conditions continuing in 2016. Stanley Black & Decker is also being impacted by the negative effects of the strong US dollar. Eli Lilly — The drug maker matched estimates with earnings of 78 cents per share, though revenue beat forecasts. Lilly said it is upbeat about this year’s prospects based on a half dozen Food and Drug Administration approvals in 2015 and a number of successful late-stage trials. PulteGroup — The home builder earned an adjusted 57 cents per share, eight cents above estimates, with revenue also beating analyst forecasts. Orders rose 24 percent, with average sales prices up six percent. Facebook — Facebook beat estimates by 11 cents with adjusted quarterly profit of 79 cents per share. Revenue also beat forecasts, with the social network beating the $1 billion mark in quarterly net income for the first time ever. EBay — EBay matched forecasts with adjusted quarterly profit of 50 cents per share, with revenue also in line with estimates. 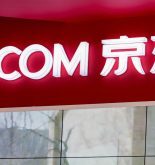 However, the e-commerce giant gave guidance for the current year that falls short of analyst estimates amid growing online competition. PayPal — PayPal reported adjusted quarterly profit of 36 cents per share, with the former eBay unit beating estimates by one cent. Revenue was also above forecasts, and the online payment service provider also announced a $2 billion stock buyback program. Qualcomm — Qualcomm came in seven cents above estimates with adjusted quarterly profit of 97 cents per share, with the chipmaker’s revenue also beating forecasts. However, shares are under pressure as current quarter guidance comes in below Street forecasts due to flagging demand for mobile chips, among other factors. Las Vegas Sands — The company reported quarterly profit of 62 cents per share, two cents below estimates, with revenue just slightly below analyst projections. The casino operator continues to suffer the effects of declines in Macau and Singapore. The company, however, did raise its quarterly dividend to 72 cents from the prior 65 cents per share. ServiceNow — The shares are being pressured by weak current year guidance, even as the cloud computing company beat estimates for the most recent quarter. ServiceNow reported adjusted quarterly profit of 19 cents per share compared to estimates of eight cents, and revenue that was above estimates as well. The company’s results — like many others — are being impacted significantly by the negative effects of a stronger US dollar. Fiat Chrysler — Fiat Chrysler shares are lower overseas, on concerns about the automaker’s updated business plan which increases emphasis on North American sales and the popularity of SUVs. Diageo — The spirits maker reported a drop in first half operating profit, owing largely to slumping U.S. sales for the maker of Smirnoff vodka and other spirit brands. Amazon.com — The online retail giant is in the early stages of planning a subscription music service to compete with Spotify, Pandora, and others, according to the New York Post. Texas Instruments — The chipmaker beat estimates with its latest quarterly profit numbers, although its current quarter guidance is short of forecasts owing to weakness in the personal electronics market .